Adelaide Food Central was invited to sample the new Signature Menu at Sushi Planet. All food and drinks were provided free of charge. 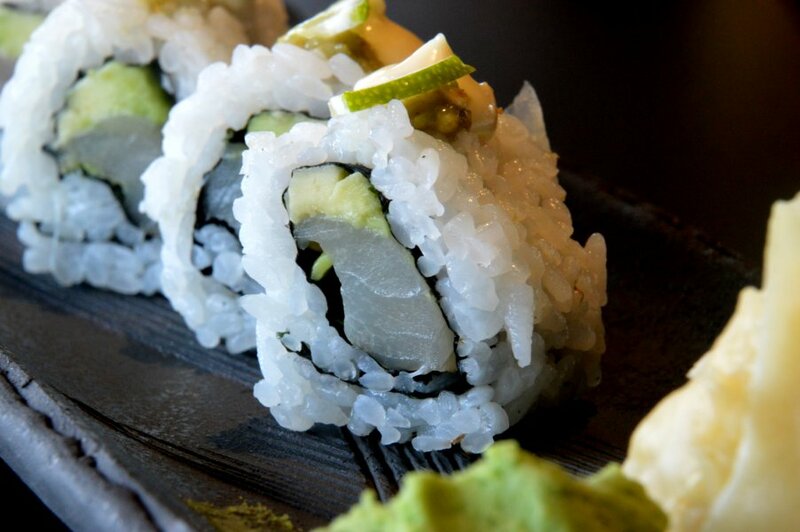 The name Sushi Planet is synonymous with simplistic offerings, fresh quality ingredients and great customer service. When the invite came through to sample their menu, it was something I was really looking forward to. Based on previous visits to Sushi Planet, I already knew the whole experience was going to be exceptional. There are 7 items on their new Signature Menu which are Shrimp Bites, Scallop Kataifi, Kingfish Roll, Snow Crab Roll, Crispy Rice with Spicy Truffle Salmon, Tuna Toro Nigiri and Tuna Toro Sashimi. The last two tuna dishes are only available on Fridays and have limited availability. 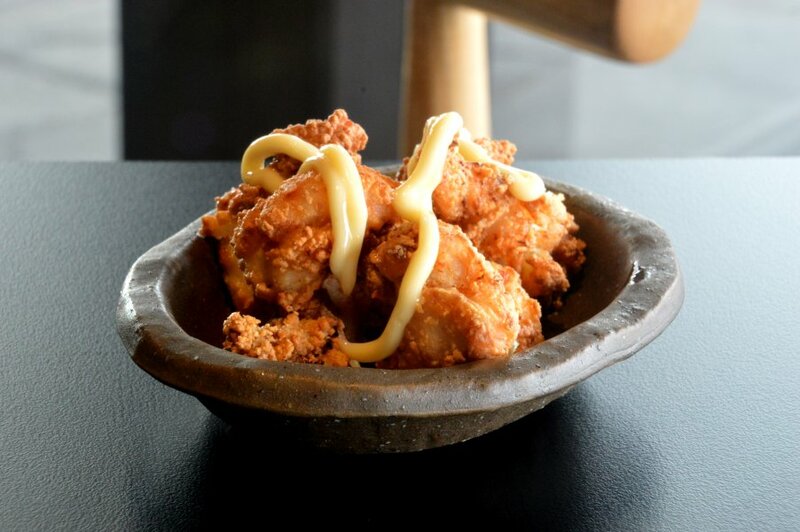 As a starter, I had the Chicken Karaage. Not part of the new Signature Menu, but a great way to start proceedings. The morsels of chicken were juicy and succulent, and coated in a light crisp batter. The subtle sweetness of the mayonnaise adds nice depth to the dish. Anything with truffle in it gets the thumbs up in my opinion, and this dish was no different. The spicy truffle salmon contains yuzu pepper which gives it a bit of heat. The mixture is soft and creamy, and nicely seasoned. The crunchy rice adds a contrasting texture which make this dish go down a treat. 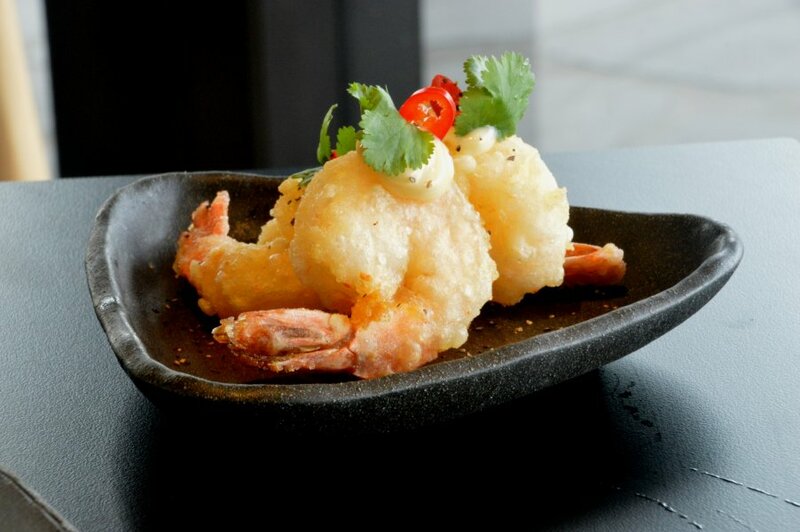 The Shrimp Bites are tempura style prawns that are topped with miso aioli, coriander, chilli and a dash of pepper. The prawns were juicy and succulent, and were perfectly cooked in a light crispy batter. The miso aioli gave the dish more depth while the fresh chilli slice added a burst of excitement. 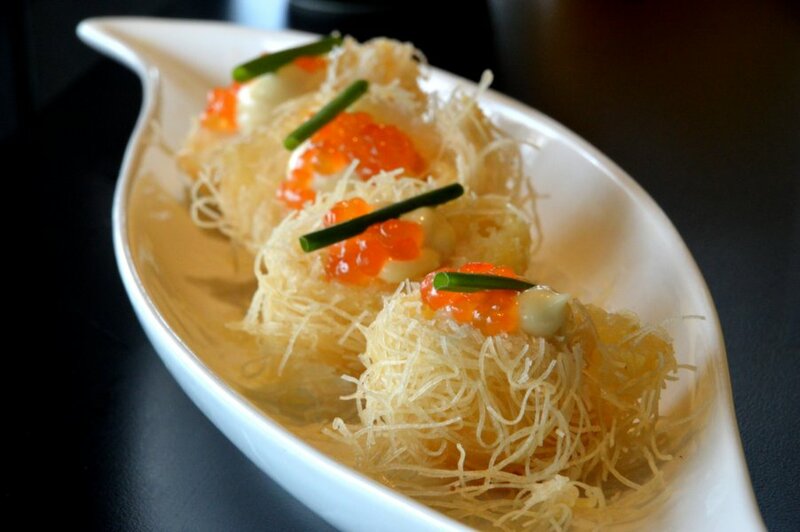 The Scallop Kataifi was topped with salmon roe and a miso aioli sauce. With the appearance of a Middle Eastern sweet, this dish was amazing. The scallops were soft and delicate, and wrapped in a the crunchy kataifi pastry. The salmon roe not only helped in the appearance, but it’s subtle saltiness made the dish more balanced. The Snow Crab Roll is yet another dish in the new Signature Menu to contain truffle. 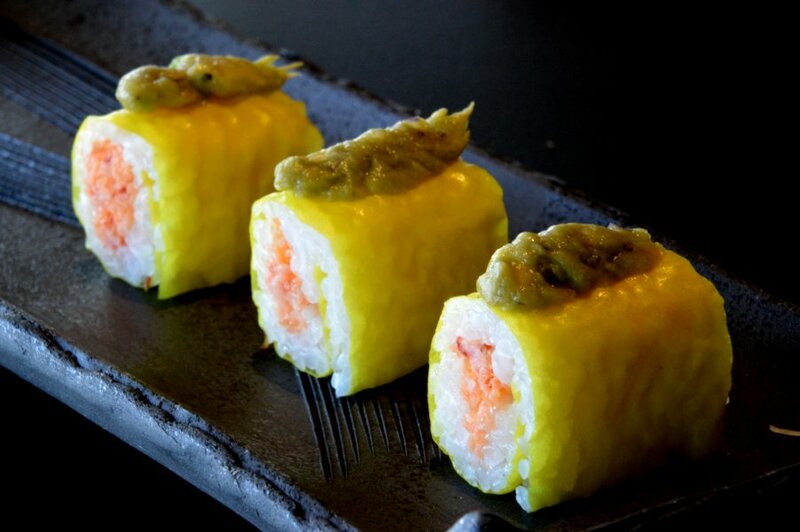 The filling contains snow crab and capelin roe which is mixed with truffle aioli sauce and topped with a Japanese style guacamole. 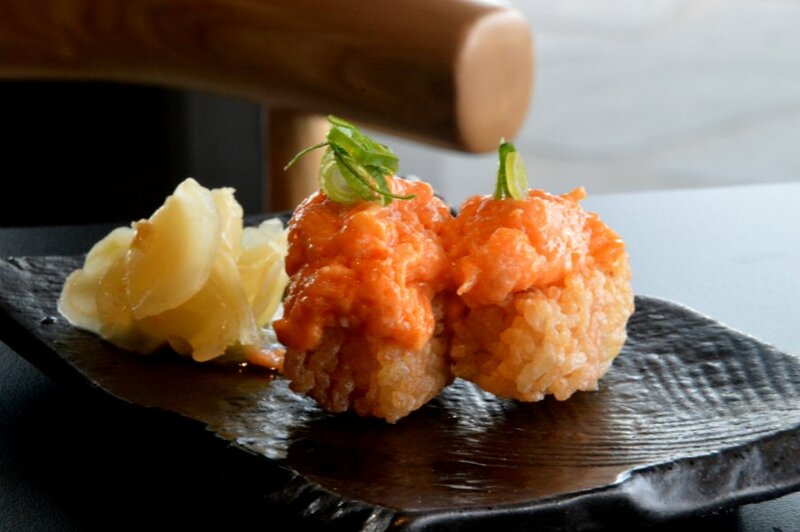 The snow crab has a subtle sweetness about it which is balanced by the saltiness of the roe. Not only is this dish delicious, it’s also very light and refreshing. When Sushi Planet say fresh, they really mean fresh. This was evident in the smooth silky texture of the fresh Kingfish in the sushi. This was balanced by the soft delicate avocado. The yuzu pepper gave it a hint of spice while the lime added a fresh burst of zest. When it comes to inventiveness, I have to hand it to Sushi Planet for coming up with their exciting and tasty new Signature Menu. Each dish was perfectly executed with a great balance of flavours and textures. This is my third visit to Sushi Planet, and just when I thought they couldn’t get any better, I’ve again been proven wrong.